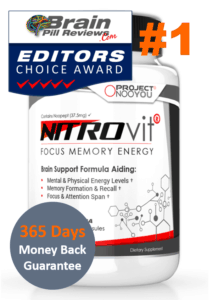 CogniQ Review: Ultra brain boosting nootropic or ultra confusion? After doing a quick online search, red flags immediately came up. However, we decided to continue researching the product, just to see what it was about. Unfortunately, we were unable to find a direct website for CogniQ or even verifiable manufacturer information. We did however find several random websites featuring CogniQ, and we even found a website titled www.cogniq.org. However, none of the websites seemed legal to us. 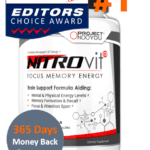 All of them featured info on a supplement called CogniQ and had similar photos of the supplement CogniQ, yet to us, the information just seemed fishy. Many times the information would change, for example the ingredients or the promised results would differ depending on the website. Also, many of the websites weren’t written in proper English, so not only was it hard to comprehend their message, but it was also hard to put our trust in the product CogniQ. According to many of the websites, CogniQ claims its formula is 100% natural. Again, the ingredients changed depending on the website, but we decided to list most of them so at least you get an idea of what CogniQ may contain. 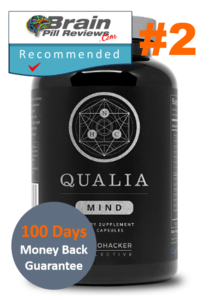 pyrroloquinoline quinone (PQQ) – 20 mg – It is a neuroprotective compound that through a few initial studies has been shown to support cognition and protect memory in the ageing brain. 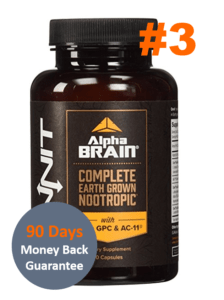 co-enzyme Q-10 (CoQ10) – 300 mg – It is like a vitamin that is a component of energy production in 95% of the body and is thought to prevent heart failure and certain cancers. bacopin – Is an ancient herb which is used in India for years to reduce anxiety. 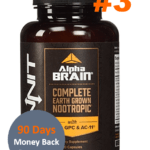 ginkgo biloba – It is thought to improve blood flow to the brain and perhaps boost memory and cognitive speed. 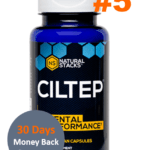 vinpocetine – It comes from the periwinkle plant and is thought to act similarly to ginkgo biloba by increasing blood flow to the brain and improving cognitive function. 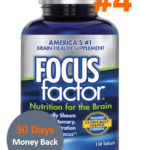 glutamine – It is an abundant amino acid that is thought to reduce the symptoms of ADHD. DMAE – It is a molecule that turns into acetylcholine, which is a learning transmitter in our brain. acetyl-l-carnitine – This is an amino acid that increases energy production in the mitochondria. Other websites featured a few of these ingredients, but we never managed to find the official ingredients list. To be honest, we couldn’t even verify a price for CogniQ. Every time we clicked on a link on each of the websites. We found that we were either taken to an empty website, a spam website, or we were taken to a website for a supplement called Synapsyl. Some of the websites claimed you could get one free trial of CogniQ. 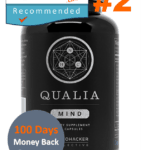 While others said we had either a 30-day or 90-day guarantee. However, we were hesitant to input our credit card detail . Hence, we never found out exactly how much one bottle costs. 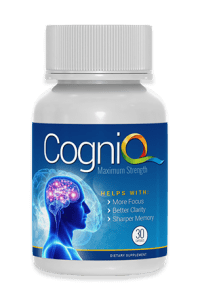 One website did say that one bottle costs $49.95 and with 30-capsules in a bottle and a suggestion of one capsule once or twice daily, CogniQ seems a bit costly anyway. If you like taking risks, then you might enjoy risking your credit card detail with CogniQ. We couldn’t find a legal website, ingredients list, or cost. When you can’t even find a real website, ingredients list, or cost, it’s really tough to trust a product. Mainly since once you enter your credit card info, you may just have your money taken from you.